This post explains specific misunderstandings by “gamblers”. Say the player monitors which numbers have won in the past 37 spins. The player starts betting on numbers that have repeated in the 37 spin cycle. Why? . . . Because they think the number is more likely to repeat sometime soon. Repeating numbers happen because it’s more likely than having 37 different numbers in 37 spins. This does NOT mean you have at all increased the accuracy of your predictions (to better than 1 in 37). It’s like saying you can toss a coin 100 times and say you know some will be heads, and some tails. So what? Can you predict whether it’s head or tails on the next toss with better than 50% accuracy? NO. You have’t changed the amount of times you’ll win. No matter how a roulette system determines bet selection, if the odds of you winning on the next spin are still the same as before, then what have you changed? . . . NOTHING. Is there ANY logic to why a repeating number is more likely to repeat again? No, unless there is a real physical variable affecting the wheel, like a defect. The Martingale is basically doubling bet size to cover losses. Most players quickly find it doesn’t work because they either run out of money or hit the table betting limit. 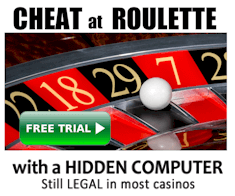 If you had unlimited bankroll and no betting limits, then you could make the casino broke. But that’s not reality. Most players still don’t understand what progression bets actually are, and their effect. Eventually I’ll win. My losing runs can’t last forever. Or at least I won’t see a run of losses big enough in my lifetime to wipe out my bankroll. Say you bet $10 on RED and lost. Then you bet $20 on RED and lost. Then you bet $40 on RED and won, you will have profited. 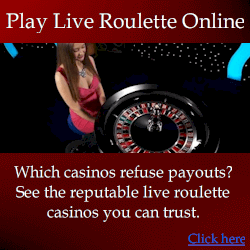 You will have played three spins, and might think it is your “system” worked. The reality is you just made three totally independent bets, on different spins. Each bet is a unique wager with its own odds and payout. It’s the same case if you bet 10 individual numbers on a single spin. What you’re actually doing is making 10 separate wagers, each with their own odds and payout. Remember that “odds” just mean “how often you’ll probably win”. And “payout” means “what you’re paid when you win”. And remember that the payouts are always lower than the odds. 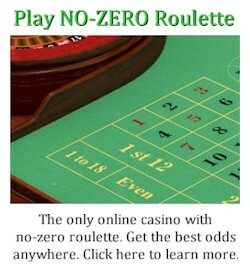 So unless you change the odds, the payouts are always going to be lower, and gradually you’ll erode your bankroll. That’s what the house edge is. Gamblers come up with all sorts of methods and procedures to determine where to bet next (bet selection), and the size of their bets (progression). But in the end, the “odds” of each individual bet winning haven’t changed. And certainly the “payouts” never change because they are casino rules. Even if they try to change bet sizes, all they’re actually doing is making a bunch of different size bets. It has exactly the same effect as different players making different bets. The casino doesn’t give a crap which loser made which bets, provided the odds of each winning number is equally likely (that’s another story). Whether a single player makes different bets with different sizes, or the same bets are made by many different players makes no difference. The end result is still the casino pays out less than a fair amount (the house edge). That’s why the only way to beat the casino in the long term is to CHANGE THE ODDS (increase the accuracy of predictions). How this is achieved is another matter, and beyond the scope of this article.